Since you’ve become fat adapted, you’ve likely worried about the holiday celebrations, parties, and occasions which come with strong food traditions, none of which are keto-friendly. 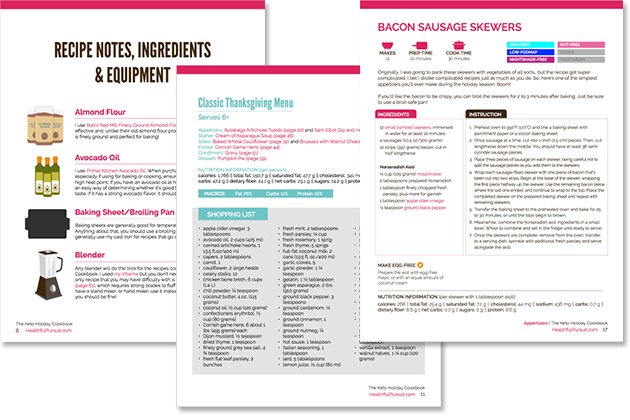 Worry not, my friend, I have you covered with these 30+ keto holiday recipes + dinner party menus in my newest digital (instant download!) 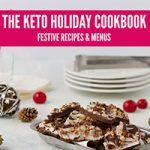 cookbook, The Keto Holiday Cookbook. 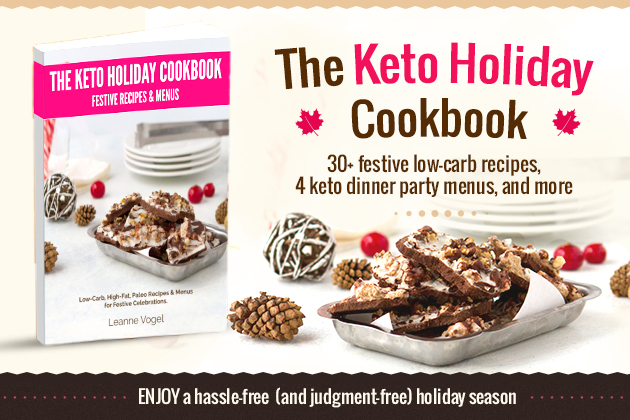 Featuring a variety of over 30 low-carb appetizer, starter, side dish, entrée, dessert, and condiment recipes, each dish will bring your holiday meals to life, whether you’re hosting a group with food allergies, your keto friends, or non-ketoers. Including recipes for sugar drop cookies, cream of asparagus soup, celery root salad, eggnog pudding, sausage skewers, and more, you’ll have all the accompaniments for the roast turkey, Cornish hens, or baked ham you serve on the special day. My first keto Christmas was a total disaster. I assumed that I’d live off turkey and gravy, until I arrived at the first of six celebrations and was served an individual turkey breast wrapped with stuffing, coated in maple syrup, surrounded by a pool of corn syrup-sweetened cranberry sauce. It’s a ketoers worst nightmare. Following that nightmare of blood sugar highs, I brought a couple of keto items with me to the following events, enough that everyone could have a taste. In doing so, I continued to eat the food that felt good in my body, didn’t feel alienated during the celebrations, and shared keto with people were open to it. 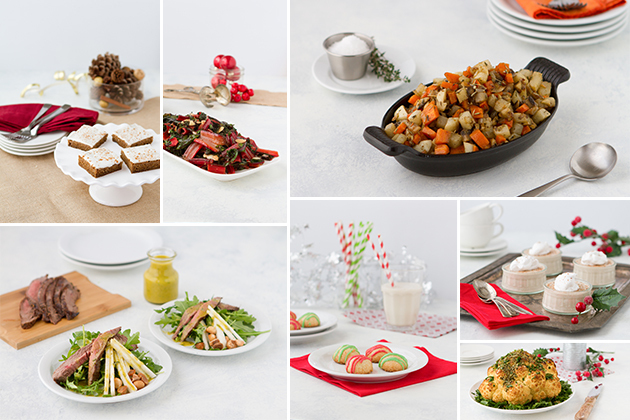 Over the years, I’ve transformed traditional holiday favorites like pumpkin pie, sugar cookies, gingerbread cake, glazed ham, stuffing, and mashed potatoes into keto, whole-food recipes the whole family will love, whether they’re high-fat or not. I’ve bundled up all of these recipes (over 30 of them!) and created my most-beautiful keto cookbook yet. For real, this thing is gorgeous! AND! 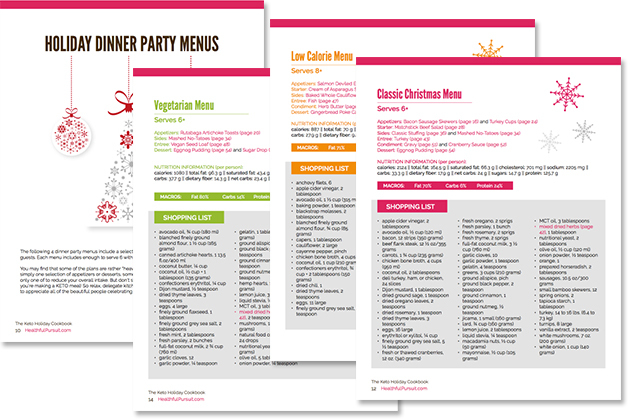 There are 4 full keto dinner party menus with shopping lists including a meat-free keto holiday menu, a classic keto Christmas menu, a classic keto Thanksgiving menu, and a low-calorie keto holiday menu. Now, we can RELAX this holiday season, look forward to the celebrations, continue to eat the food that makes our bodies feel good, and know that we’re not missing out on a thing! I hope you love this new keto resource!